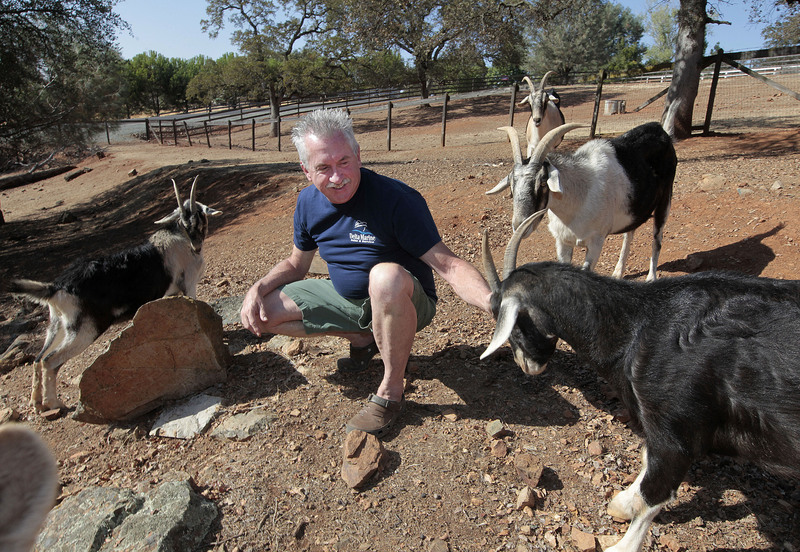 NEVADA CITY, Calif. -- The threat of catastrophic wildfires has driven a California town to launch a "Goat Fund Me" campaign to bring herds of goats to city-owned land to help clear brush. The campaign's website explains that because it takes time to secure grant funding, the town needs money now to hire local goat ranchers because they're only available this winter. "Why not do something - and as soon as we can?" Vice Mayor Reinette Senum told the Los Angeles Times . "If we're not proactive, if we don't help ourselves, no one else is going to step up." The foothill community is about 47 miles southeast of Paradise, which was decimated by a fast-moving wildfire in November that killed 86 people and destroyed about 14,000 homes.